Fibromyalgia is a disease that is difficult to diagnose and treat. The symptoms correspond to many other chronic conditions. There are also medical professionals who think fibromyalgia does not even exist. 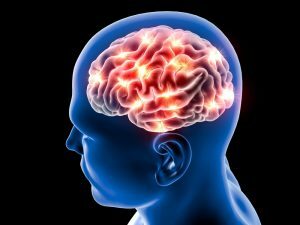 Scientists have now discovered a “signature” in the brain, which determines the presence of this disease with 93 percent confidence. Fibromyalgia is accompanied by chronic pain and stiffness spread throughout the body. Other symptoms include fatigue, anxiety, mood disorders and a bad night’s sleep. Many specialists do not recognize this condition or even deny its existence. Scientists from the Universities of Colorado, Barcelona and Melbourne have now discovered neurological patterns in the brain that are associated with the hypersensitivity to pain in patients with fibromyalgia. 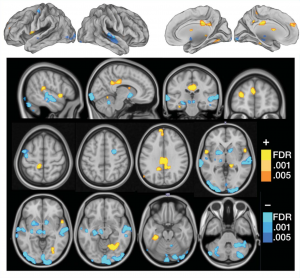 One of the researchers’ images depicting the areas where people with fibromyalgia show a different pattern. Source: see below (full article is available with the editors). According to the researchers, this is a useful discovery because fibromyalgia can now be considered a brain disorder. according to researcher Marina López-Solà. A summary of the publication is available online. Contact the editor if you want to receive the entire source article as PDF. Please mention the article about fibromyalgia and the brain.